Create your own 4M glow dinosaur diorama or stick each figure on your wall or ceiling. 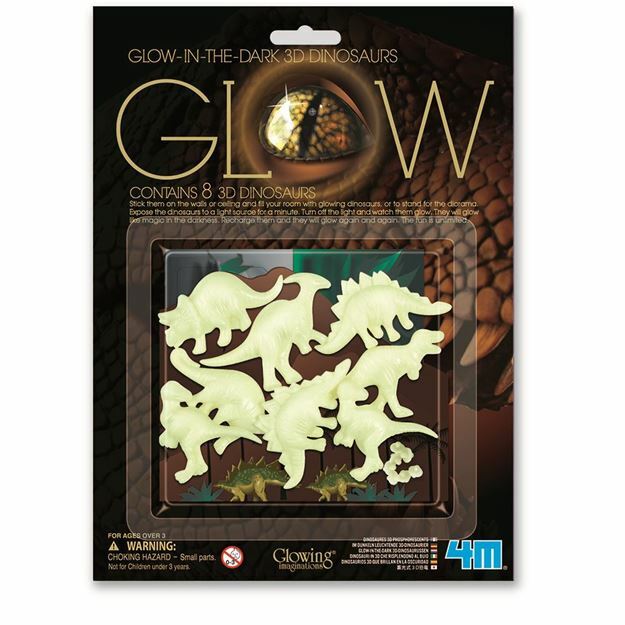 Includes: 8 dinosaurs, double adhesive tape, pop-up card stage and stand. Age 3+ years. Part of the Glow range. Distributed in New Zealand by Holdson.